More Game of Thrones VFX breakdowns have just been released, featuring the work of Rodeo FX, Image Engine, Illoura, Mackevision, Zoic and more. 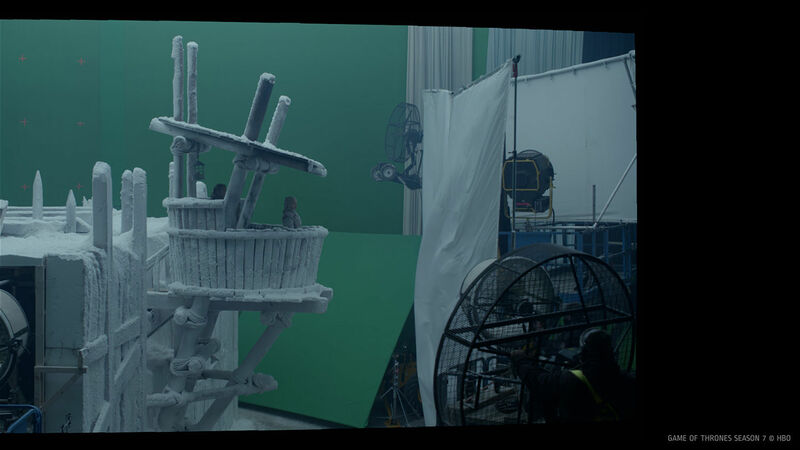 Rushed, plot- and action-heavy – and more than a little silly in places – Season 7 of Game of Thrones concluded last year, and the visual effects houses who worked on the series are still publishing breakdowns of their VFX work. Below you'll find VFX breakdowns from houses involved plus some behind-the-scenes films created by HBO that cover both production and post (including the series' standout battle The Loot Train Attack). You can see how specific episodes were created, cities, castles and of course, that dragon. These breakdowns contain spoilers, obviously. Image Engine created arguably one of the most impressive characters in the whole series – the fire-breathing dragon. Here’s a breakdown on how the VFX house created the CG dragon, basing the flying movement of its wing span on footage of a flying eagle and flying bat and see its massive size in scale to a human. 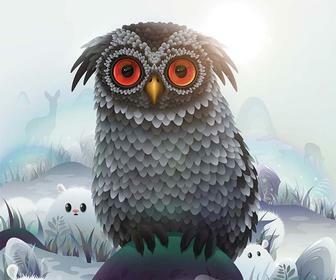 Notice the concept art also. Montreal-based VFX house Rodeo FX created various simulations and CG environments using compositing techniques in Houdini or Nuke for the nighttime battle and fight scenes. Watch this and more in the VFX breakdown below. Rodeo FX added ocean and background ships to sets, extended parts of Yara’s ship, and on wider shots built out the Silence completely and put 100 ships into the background. Rodeo FX also augmented the practical fire in the plates, enhancing the foreground on-set fire with CG or comped fire elements in the background. The fire on the sails was created in CG using Houdini. 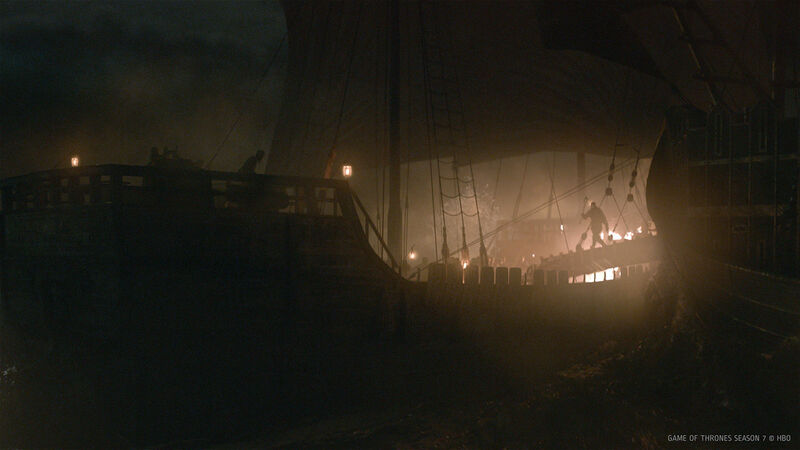 Rodeo FX also created water simulations around Theon as he floats around in the aftermath. 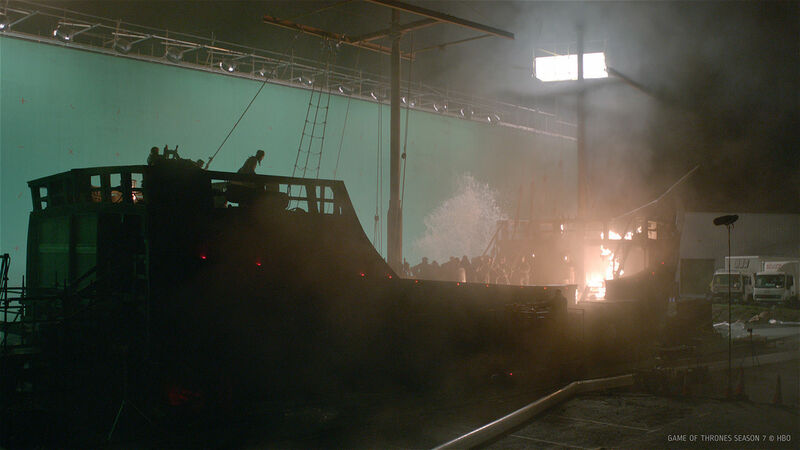 Below are before-&-after shots of iconic scenes from the series, featuring VFX by Rodeo. Iloura once again teamed up with HBO to craft the visuals for the Loot Train Sequence in 'The Spoils of War' scene of episode four. In 'The Spoils of War,' Daenerys and her army of Dothraki confront the Lannisters in a fiery battle. Iloura VFX supervisors Glenn Melenhorst and Josh Simmonds lead the team for the standout battle of season 7. 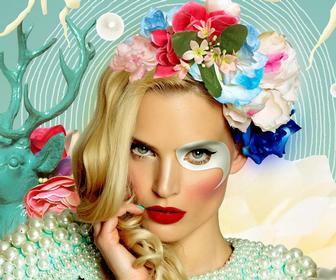 You can watch a video breakdown of their work below. "We created digital doubles for the Dothraki at high resolution, knowing that we might need to drop them anywhere in a frame. This was not a case of throwing CG extras in the back of the horde, rather they are often front and center – something you’d never imagine trying to achieve in a typical TV show." In addition to enormous simulation datasets with full CG shots, set extensions, and assets, Iloura developed custom animation tools and enhancements that allowed artists to create without having to continuously rebuild for incredibly detailed work and flawlessly composited sequences. 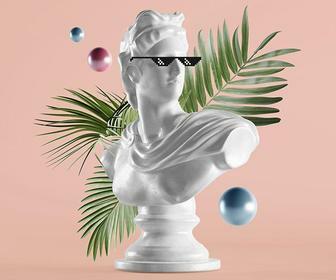 "Our aim was to ensure an exciting and unified sequence that stayed true to the renowned Game of Thrones aesthetic," said Josh Simmonds. 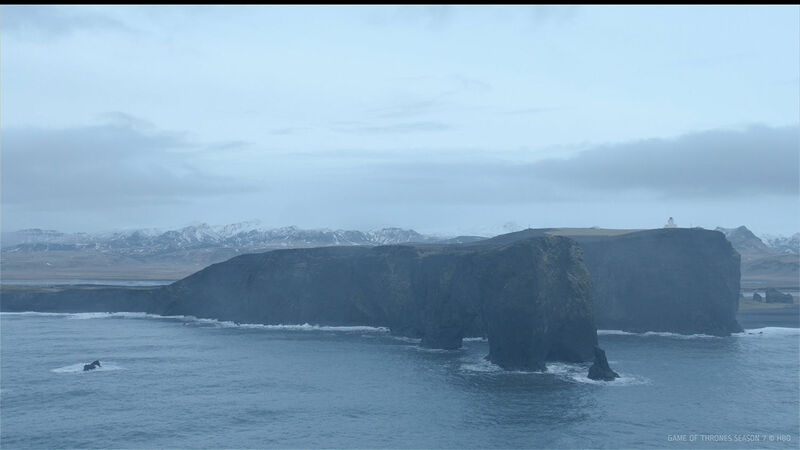 Zoic Studios has produced a short reel of its VFX, which was primarily for environments including the snowy landscape outside Winterfell, the intricate geometric architecture of the maester's library at The Citadel, and the caves below Dragonstone castle. 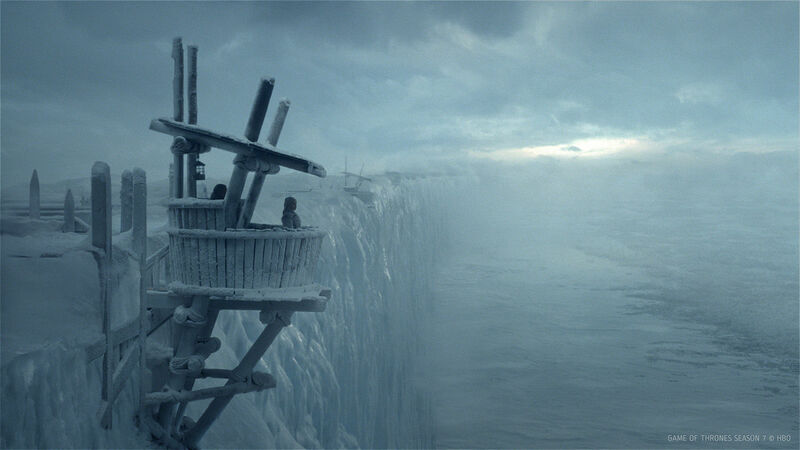 However the VFX house also produced character shots including Arya's removal of the face of Walder Frey in the first episode of the series, and making The Mountain look even more undead. German VFX house Mackevision have specialised in creating CG armies and navies, as well as set extensions for even grander castles and cities. HBO has been producing behind-the-scenes videos about each of the episodes of Season 7. These cover everything from cast commentaries to explanations of both practical and digital effects – and how these affect the actors involved. The best of these is The Loot Train Attack, which details just how difficult is was to create a battle scene involving ground troops, cavalry and dragons – and all of the dirt, blood and fire that comes with that – with shots from the ground and even from Danaerys's perspective on the back of a dragon. For more on how the show's big battles are created, read how The Battle of The Bastards was made. There's limited info on the visual effects work, but it's still fascinating how they created what the producers claim is the most number of actors on fire on set ever. Also well worth watching is The Frozen Lake, which details how an Irish quarry was transformed into a icy battleground for the climax of a D&D-style quest adventure north of the Wall. 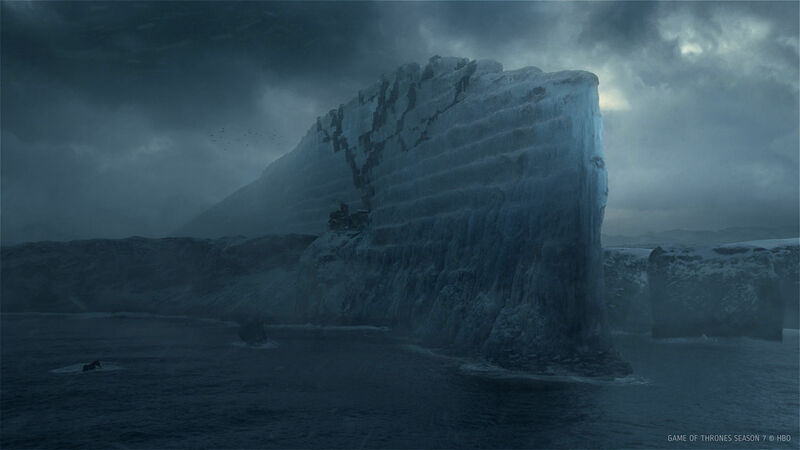 We've covered Game of Thrones' VFX (and other creative projects it's inspired) many times on Digital Arts – including Rodeo FX's Impressive Visual Effects for Season 6 and Season 5, an overall guide to Season 5's VFX, how Image Engine designs characters like the Night King and an interview with Mackevision's Armin Pohl on creating Game of Thrones' CG landscapes. Plus see the opening sequence recreated with amazing paper cutouts and discover a delightfully silly spoof for kids TV show Ben & Holly. And then there's the GIFs.